Slates have been used as roof covering for centuries. In the past, one would especially use natural slate roof tiles. Nowadays, artificial slate roof tiles have become very popular. A slate roof is durable and well protected against storms. Moreover, roofs with varying roof shapes can be provided with slate roof tiles thanks to the wide range of shapes and colours. Natural slate roof tiles consist of natural stone originating from quarries in Europe, Asia, Africa and America. Each quarry produces its own stone type and this is why the range of colours is very diverse. Differences in colour and shape may appear between the slates, but this is inherent to a natural product like slate. Natural slates have the colour and relief of natural stone. This ranges per stone type from grey to blue, brown, green and anthracite. The small imperfections between the slate tiles contribute even more to the natural appearance of a slate roof. Because one thing is for sure: a roof covered with natural slate roof tiles is unique and has a specific look that cannot be compared to anything else. Moreover, a natural slate roof will last a lifetime. Natural slates are nevertheless more expensive than synthetic slate roof tiles. Very long life span (80-100 years). Requires little or no maintenance (material is barely porous). Well protected against temperature differences. Expensive as compared to other roofings. Impurities in the quality or execution are possible (this is inherent to a natural product). Cost: Natural slates are definitely more expensive than artificial slates. Installing natural slates easily costs 95 to 105 pounds per square metre. Do you want to install a roof with natural slates? Request non-binding quotes from registered roofers via our online quotation form. Click here for more information. 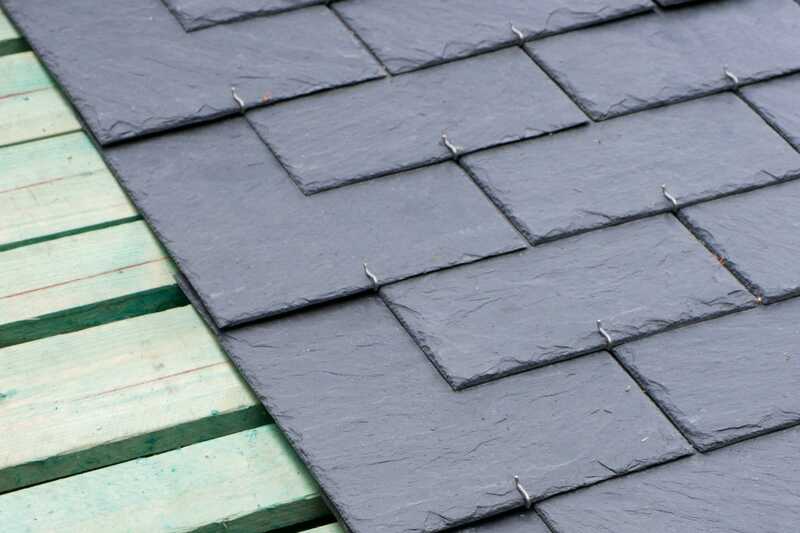 Artificial slates are made out of fibre cement. That is a light and strong product on the basis of cement and synthetic fibres. Synthetic slate roof tiles are frequently used because of their good price-quality ratio and the wide range of sizes and colours. Artificial slate roof tiles are available in diverse shades of grey and brown, but red and brown varieties are possible as well. As opposed to artificial slates, each fibre cement slate has got exactly the same composition. Because of this, a tight and smooth appearance is possible. When using artificial slates, several architectural roof designs are possible since the slates can be applied in different ways. Attractive pricing (cheaper than natural slates). Large variety of colours and formats. Protected against differences in temperature. Can be put in place in different ways (singular horizontal coverage, double coverage, diamond-shaped and in stretcher bond). Shorter life span than natural slates (25-35 years). Less authentic look than natural slate roof tiles. Cost: On average, you will pay 55 to 65 pounds per m² for the construction of artificial slates. 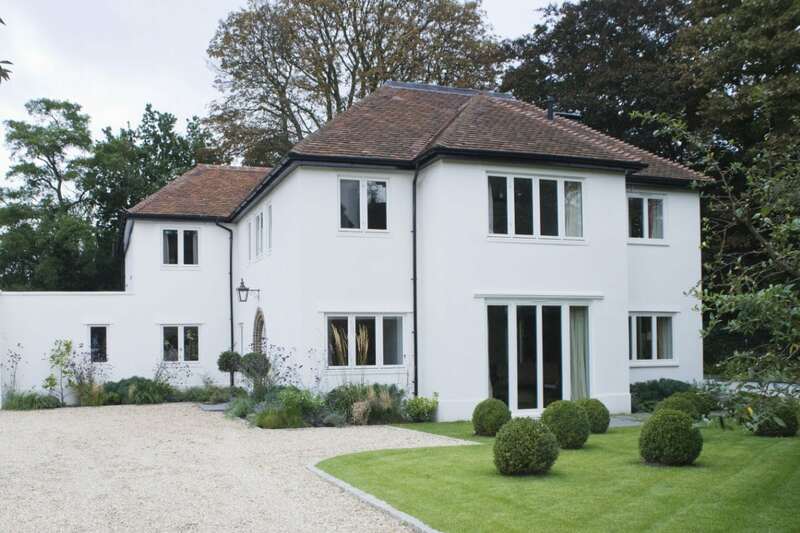 You can request customised prices from professional installers on our quotation page for free! Click here to request non-binding quotes. Bitumen slates, also called roof shingles, are made of long bitumen strips. These are light and flexible slates which can be cut to size easily. You often see these roof shingles on garden sheds, carports, aviaries and sauna huts. 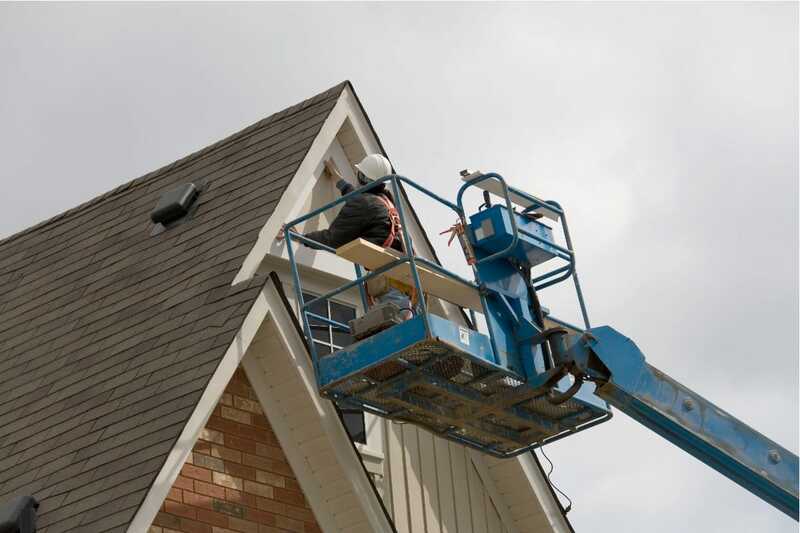 However, you can also choose to apply them on a steep roof of a house. Roof shingles are available in several colours and finishes and roofers fix them onto the roof with nails that have a broad head. This roofing type has a life span of about 25 years. This kind of slate roof tile is often used for American houses. Artificial slates are provided with a special coating that rejects moisture and dirt. In the course of the years, this layer will wear down a little. As a result of this, the slates will absorb more moisture. The damp slates are an ideal foundation for mosses and algae, so this is why moss has to be removed from the roof over time. Moss can be removed by means of a spray gun filled with a moss killer. When all the moss is removed from the roof, a new coating needs to be applied. In order to obtain a good bonding between the coating and the slates, one applies a protective primer first. After treatment, the roof will look like new again and will be protected for at least ten to fifteen years thanks to the protective coating. Natural slates go through a similar procedure, but you do not have to clean them as often. Do you want to have your roof cleaned by a professional roof cleaner? Via our online quote service, you can request noncommittal quotes from registered contractors. By doing so, you can both compare prices and several cleaning methods. Click here for more information. Note: if you want to clean or renovate a slate roof of at least twenty years old, you should first check which slate type is involved. Asbestos-containing slates may by no means be cleaned with a high-pressure cleaner! Besides, it is better to provide a roof of such a respectable age with a new roof covering. Slate roof or roof tiles? Assembling slates is a time-consuming task which takes more time than the installation of roof tiles. As a result of this, costs of a slate roof are higher than those of a tiled roof. Roof slate prices are higher than these of roof tiles (because of the double coverage, you need many slates). Natural slates are anyway more expensive than clay tiles. Slate tiles are much lighter than roof tiles and therefore suitable for a light roof structure. Slates are better protected against storm than roof tiles. Several roof shapes can be realised with slates. Slates may also be used as facade cladding.